If it is the responsibility of every country to protect its citizens from external and internal threats, shouldn’t the fight against climate change be equally important? With increasing extreme-weather events and threats of global warming, should we not prepare for climate change on a war footing? India is among the fastest growing economies and the third largest emitting country in the world, but has always held the onus of climate change on developed countries for their historical emissions. India has high ambitions of industrial growth, while it also has the most vulnerable population, which will be impacted by climate change and would need protection. The dichotomy that the country is in today is just one reason why India needs to do more to protect itself and its citizens from climate change. With the ever-changing political equations leading to uncertainty in global funds to tackle the threat, the wait to create better infrastructure to fight climate change is unjustified. With increasing intensities of floods and droughts, and rising sea levels, adaptation measures to fight climate change need to be sought out before it is too late. Since the Paris climate negotiations in 2015, India’s tone of dialogue has changed considerably. 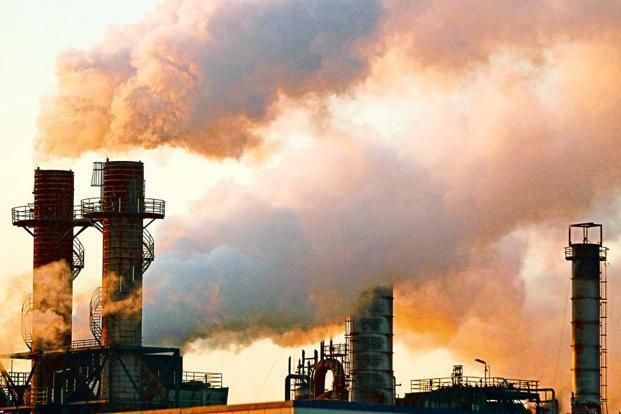 Negotiators no longer discuss the fight for equity alone, but are pushing to provide leadership and promoting technological solutions to fight climate change. In India especially, climate change was earlier seen as a threat, but is now being viewed as a business opportunity. For this measure, India has also fast-tracked its investment and promotion in renewable energy. However, this is not yet being coupled with adaptation measures. Currently, the push towards renewable energy, with a focus on solar parks is being looked at, policy wise, as a measure to mitigate emissions. But the policy needs to look at measures, which have dual benefits of mitigating and adapting, such as decentralized renewable energy as a resource to empower populations who are vulnerable. For example, when populations living in remote areas, who are most vulnerable, are provided with decentralized renewable energy, they become independent and empowered. This, in turn, increases their resilience to fight disasters. While urban cities, such as Mumbai in Maharashtra and Kolkata in West Bengal, which ironically are among the most populated cities in the world and are vulnerable to rising sea levels, lack proper drainage systems, having a proper strategy and infrastructure planning to fight climate change remains a distant dream. From being a wholly moral discussion, year after year, climate change negotiations have fast become highly political and are inching towards finding the right business model to tackle economic growth, while protecting the environment, with a view on the predicted two-degree rise. But the focus shouldn’t shift entirely on this business model. While businesses have proven to expedite solutions to tackling climate change (for example, the increased demand for solar as a clean energy source is a direct impact of not just policy, but of businesses owning and implementing the policy), it is prudent for us to not forget that the moral responsibility of protecting people from the effects of climate change must remain central to this discussion. While India is making all the right noises about how it wants to grow responsibly and sustainably while tackling the threat of climate change, the annual budget allocation to tackling climate change is not a reflection of this. Currently, the budget has no separate category for climate change measures as it is being viewed as a cross-sectorial issue. However, a quick look at various ministries’ budgets would show that the allocation is miniscule as compared to say the defence budget. Pressure from all stakeholders to increase political commitment is the only way to make sure that there can be an increase in the ambition to reduce emissions beyond what has been committed. The government needs to be pushed to remain on this track and for this it needs consistent ‘challengers’ whether in the form of an empowered and aware population, or through a grassroots movement which informs the national policy while demanding for sustainable and healthy growth for the country. But not growth which is lopsided and heavily leaning towards growth of one sector over another. Rakesh Kamal is programme officer for the Climate Change Programme at the Centre for Science and Environment in New Delhi.